Professional whitening is more effective and more personalized than over-the-counter treatments. Whether you wish to whiten a single tooth or your entire dentition, we can help you obtain a beautiful result. Below are just a few examples of our own patients that have benefited from tooth whitening. 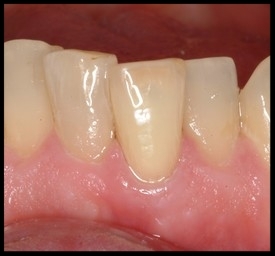 In this case a single discolored tooth was "internally whitened".